A brand new and extremely intense trailer has dropped for Creed II, which confirms the return of the most notorious character from the Rocky series. Ivan Drago (Dolph Lundgren) killed Adonis ‘Donnie’ Creed’s (Michael B. Jordan) father, Apollo, in the ring three decades ago, during an exhibition match. Now, Creed will fight Drago’s equally brutal looking son, Viktor Drago (played by professional boxer, Florian Munteanu), in what’s sure to be a deeply personal and emotional bout. To make the event even more emotionally charged, Drago Sr. himself will be making a return, giving his first appearance in the franchise since Rocky IV. This trailer shows Creed consumed by the challenge set for him by Drago Snr., neglecting his relationship and his thoughts for his own safety. He [Drago Snr.] broke things in me that ain’t never been fixed. It ain’t worth it. 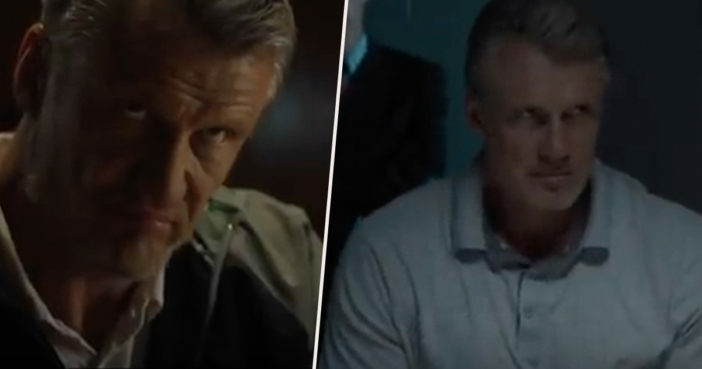 The eerily quiet Drago Snr.’s evil crime permeates throughout the trailer, with the pain he’s inflicted on both Creed and Rocky evident in every shot. Later in the trailer, Creed asserts he wants to ‘rewrite history’, suggesting he’s determined to create a new, victorious legacy for his murdered father. At another point he can be seen paying his respects at Apollo’s grave. That stare down. The same look as 1985. The return of the ruthless Russian has elicited great excitement among fans, who particularly enjoyed the bitter stare off between old rivals Drago Snr. and Rocky. Adonis: "I aint got a choice." Rocky: "Its the same thing you father said. And he died right here in my hands." Directed by Steven Caple Jr., with a screenplay from Sylvester Stallone and Cheo Hodari Coker, this has the potential for a true boxing movie classic. As Drago Jr. towers ferociously above Creed, it’s genuinely nerve-wracking to consider the monster our hero is going up against; shaped by violence and cruelty. However, if there’s one thing we’ve learned from the eternally beloved Rocky films, it’s to never give up on the underdog. And Creed has learnt from the best. Creed II will punch into UK cinemas as of November 30 2018. Grab yourself a ringside seat.